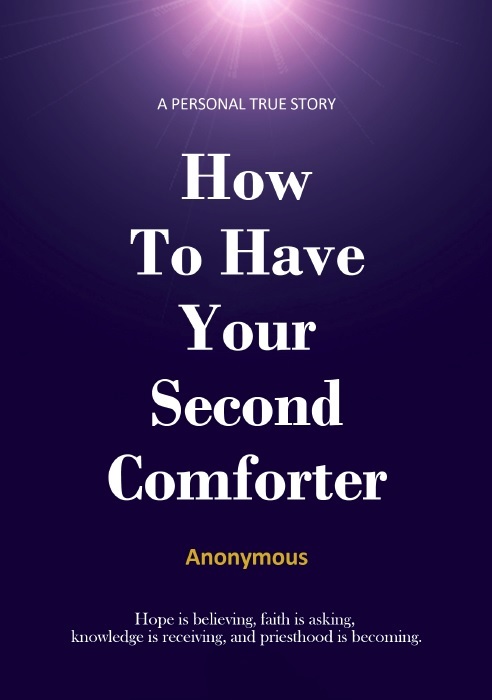 Do not read the following books unless you have read How To Have Your Second Comforter and are comfortable with the content. Please do not share with anyone unless the Spirit of the Lord has impressed you to do so. I would suggest reading these books in the order they are listed. 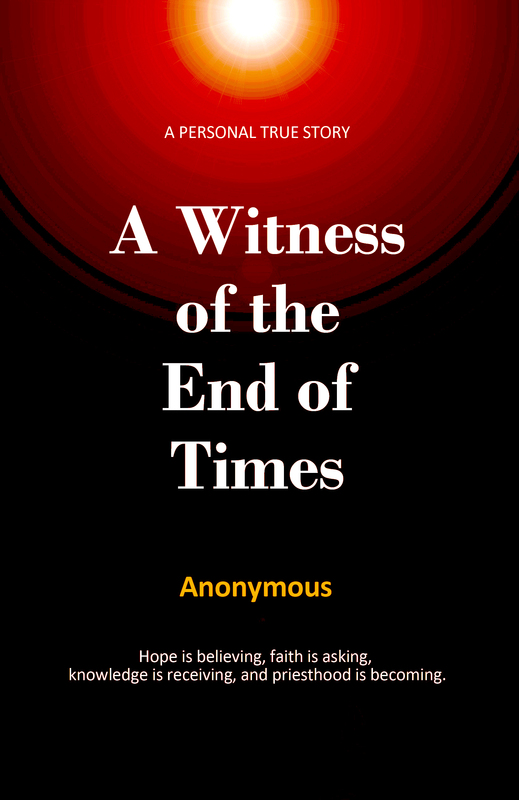 Also, some time closer to 2021 I will be publishing in a similar format a book which is more focused upon the women and their journey toward Zion, as abridged from the journal of my wife, similar to my books. Her experiences will help the sisters in ways I cannot describe. The Lord loves His daughters, and this book will help many to learn of their sacred role as Daughters of Zion. 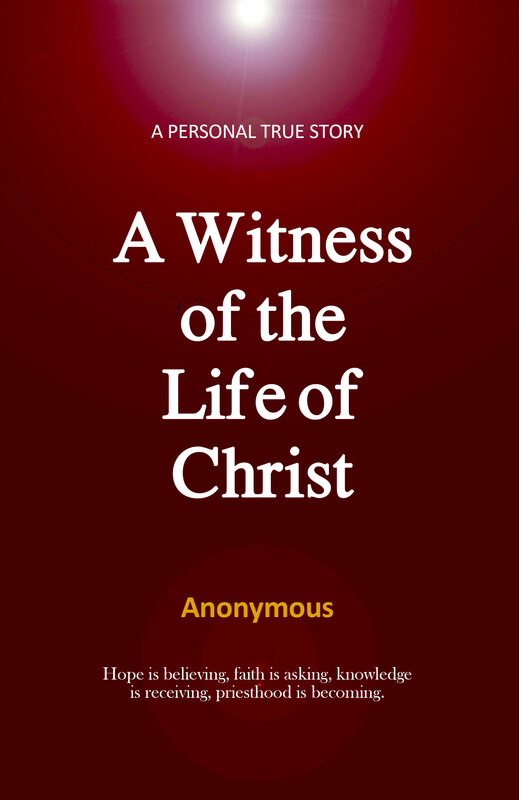 A Witness of the Everlasting Covenant, this volume details the mysteries of the Everlasting Covenant, but shall not be revealed until Zion is established. “And again I would exhort you that ye would come unto Christ, and lay hold upon every good gift, and touch not the evil gift, nor the unclean thing.”	Moroni10:30	I wonder if sometimes we mistake the good gifts for that which is unclean because we do not understand. Why do some never develop their spiritual gifts? 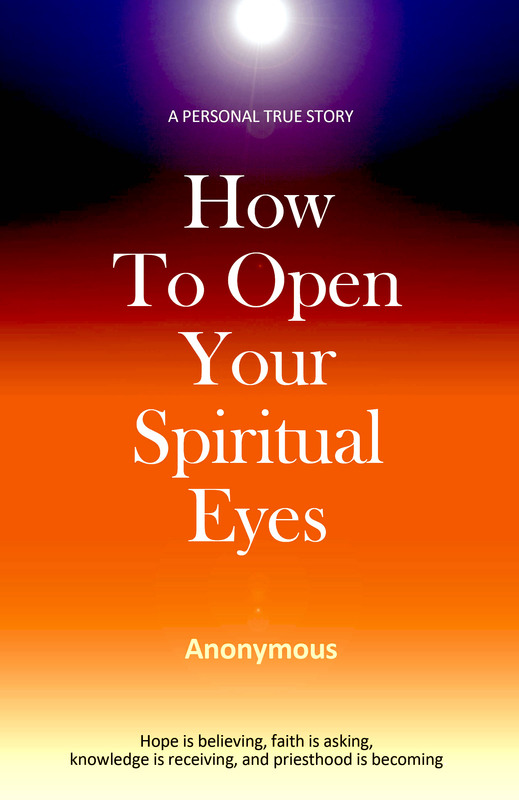 – from “How To Open Your Spiritual Eyes, Pg4” This is a good point Pr! and this one of the scripture i do not understand. please what it means an evil gift? thank. A “gift” can be a power or understanding bestowed upon a person from God, but Satan also has his darker version of each and every gift. We see this in the examples of sorcery, necromancy, and channeling of spirits. Throughout the history of man such things have existed. As Moroni said, we are to not touch, or even dabble in the dark gifts. What about the new energy healing that a lot of the women in our church are getting into? Is that from an evil source? How about Reiki and muscle testing? I am attuned to Reiki and am also LDS. Homeopathic healing is good, but with all kinds of healing the administrator as well as the recipient are wise to involve the Lord in its application. Most all energy healers lean on their own light and not upon the Lord . Usually, the recipient pays a fee and they hope to receive the healing, and do not exercise faith in Christ. Energy healing can work, but can also be risky for both the healer and the recipient. Dark energy can be passed from either without knowing. People who do such things think they are fully educated and prepared; however, there is always the unexpected person that is more than your bargained for. It is a dangerous business. I personally rely upon herbal remedies and priesthood blessings. When things require we go to medical doctors, but that is rare and I don’t trust most of them. But again, I would seek revelation on the matter. 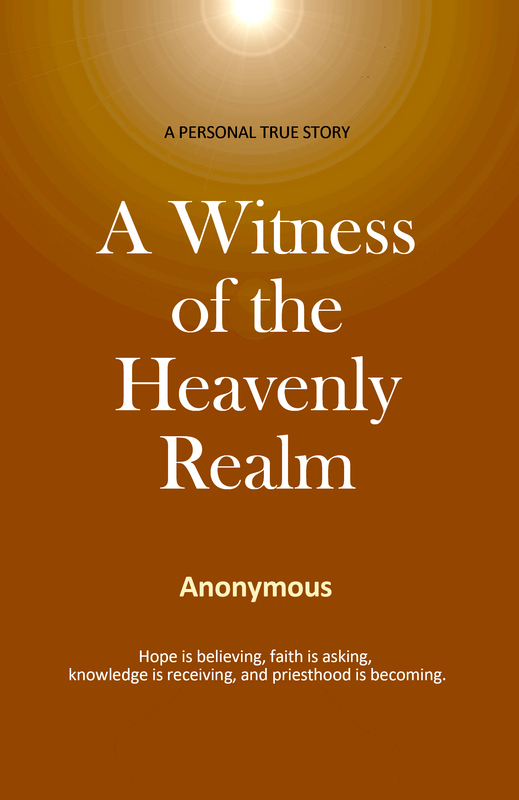 In Heavenly Realm, you asked if you could see Grandfather/Great Jehovah and was told no. But you went back (to Mother) and asked again, which you saw in vision… was that a test of faith? Are there times we’re supposed to seek things that God initially says no to? And what does “Ahman” mean? 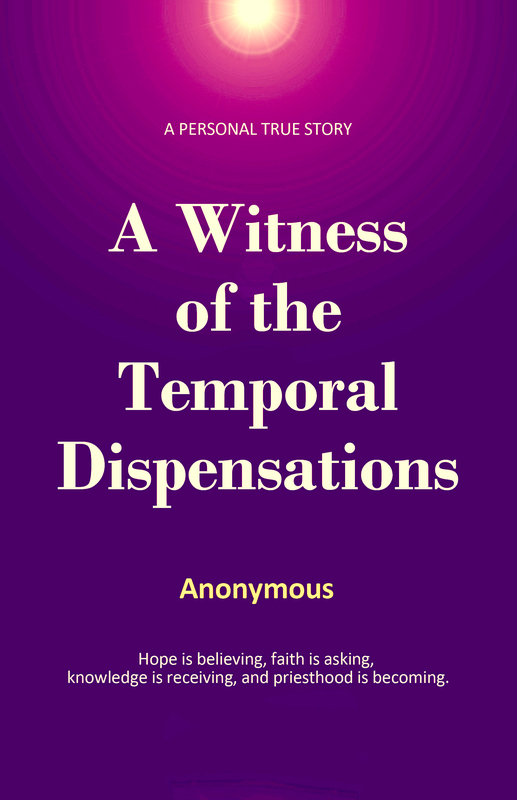 I am reading your Temporal Dispensations and I’m in the spiritual translation of the book of Moses. And it sounds like Enoch is talking to Heavenly Father and then later he seems to be talking to Christ. Which being is Enoch talking to?